If You're Stuck in a Personal Losing Streak, Suffering From a Loss of Self Confidence or Self Esteem, Read On, You're Ready for Denis Waitley! It's certainly no secret that there's a psychology for winning just like there is for losing. But few people can communicate that better than Denis Waitley has for the past 35 years. Denis has been a U.S. Navy aviator, best-selling author of more than ten books, psychologist for our astronauts, returning POW's, Super Bowl Champions and Olympians. He's consulted and coached the leaders of Fortune 500 companies like Coca-Cola, 3M, Mercedes-Benz, Dell and many others. He is a member of the International Speakers' Hall of Fame and has been named business speaker of the year by Toastmasters’ International and the Sales and Marketing Executives’ Association. Denis has been the number one selling American business author in China for more than ten years and has sold over 10 million audio programs in 14 languages. 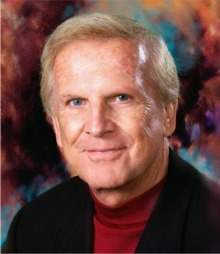 Denis Waitley is one of the most listened-to voices on personal and career success. He is the author of 16 books, including international best sellers, like Seeds of Greatness, Being the Best, Empires of the Mind and The Winners Edge. Denis Waitley's reputation is well deserved. I've seen him speak, read his books and listened to his audio seminars since I was in my early 20's. I even had the great privilege to introduce him from stage some thirty years after I'd first heard him. The Psychology of Winning was the first personal growth program I ever owned and it helped me achieve success that most twenty-somethings only dream about. I gave away that program in my early thirties and for some reason got away from those incredible principles. In my mid-forties, having been evicted from our home and losing our last automobile to repossession, I rediscovered the Psychology of Winning. I listened to it so much I literally wore the hubs off of the cassette tapes. Copyright © 2003-2010 AsAManThinketh.net All rights reserved.